A man who allegedly tried to attack another person with rocks led officers on a car chase through the Clairemont Mesa area Sunday. 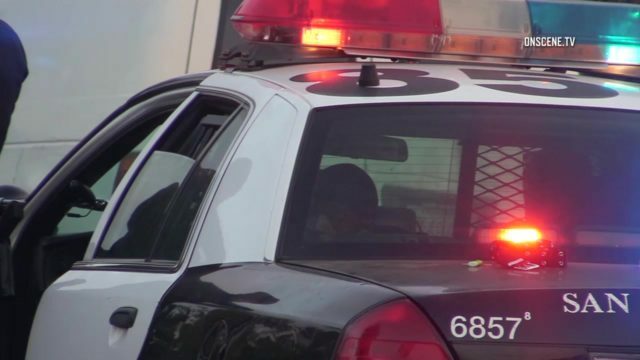 Police responded to a call about a man throwing rocks at a person in the 4000 block of Marlesta Drive at 10:35 a.m., San Diego Police Officer Sarah Foster said. The man fled in his Ford Expedition through the maze of the residential neighborhood with police in pursuit before making a turn down a dead-end street and surrendering to officers. He put his hands out the window of his vehicle and allowed officers to arrest him on Mt. Ainsworth Avenue near Mt. Abraham Avenue about 15 minutes after police were first called, Foster said. The man was taken into custody on suspicion of battery.